Smooth and easy drinking, not the highly bitter IPA of the American IPAs. 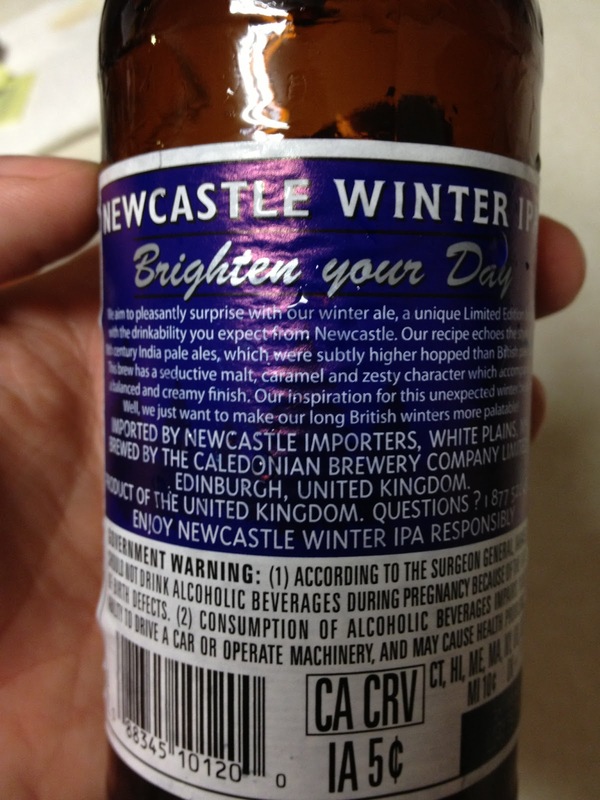 This is definitely a British style ale. 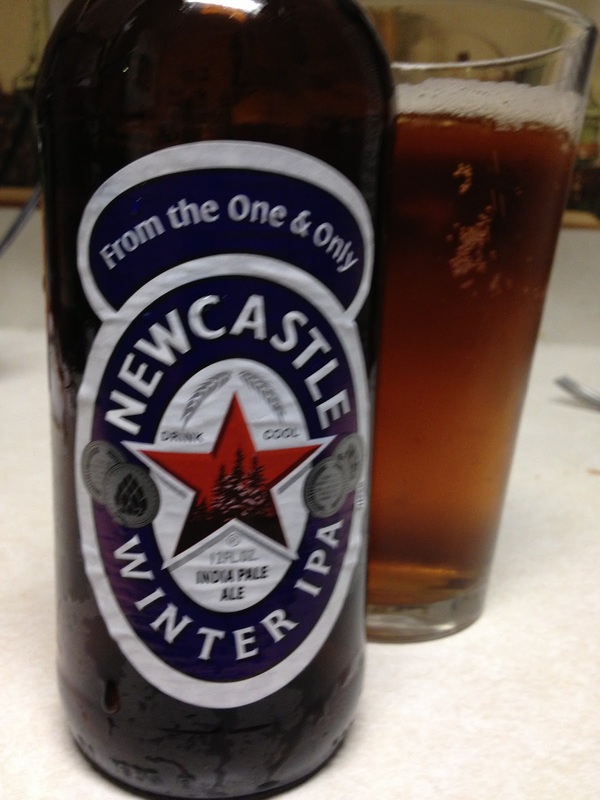 The Newcastle Winter IPA is another of their Limited Release specialty beers. Self proclaimed as a "Brilliant British Ale", this India Pale Ale is listed at 5.2% ABV, with 28 IBUs. The copper color is quite attractive, and the hop aroma is nice too. Caramel tones. This has a nice mouth feel, not too thin. Brilliant? By style, this is probably closer to an Extra Special/Strong Bitter, with specs of 30-50 IBU. The ABV, SRM, and flavor profiles will fit this category too. But, at the same time, styles are meant to be broken. And why is it essential to conform to a style anyway? And by adding the "Winter" to the name, it gives permission to be something different... something special. This is not a beer for the over-the-top hop heads...don't let the IPA moniker fool you. And I did enjoy it. Get one now, while you can.